When you have discovered mold growth in your home or business, the full extent of the contamination may or may not be completely visible. Often mold growth begins in one place and then spreads into building material, sometimes through to the opposite side of a wall. Beyond the visual extent of mold growing inside a building, the factor of whether or not it has gone airborne is the most serious concern when it comes to reaction. If mold has gone airborne, it can begin posing a health risk, depending on factors such as the type of mold, concentration of mold in the air, and the susceptibility to other building occupants, human or animal. 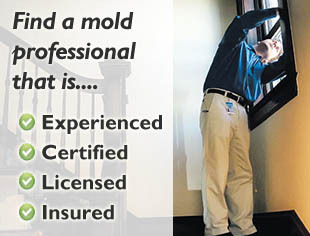 To only scientific method for determining if there is a potentially unhealthy mold presence inside a property, visible or not, is through professional mold testing of the air and visible surface growth. This is combined with an on-site visual inspection to assess the extent of the problem, locate sources behind the potential mold growth, find hidden problems related or unrelated to the mold growth, and to assess the overall indoor environmental situation. Results of a mold inspection with testing will accurately show the true state of your property’s mold problem, if it’s even a mold problem at all. Failure to react or take it seriously could lead to long-term conditions associated with exposure for yourself or others. I work at an indoor pool which has had the entire pool area “redone” (Meaning the pool bottom, edges & deck surface have been coated, NOT removed and resurfaced…) and now there are areas which are lifting & peeling, revealing a black “fuzzy” and sometimes “ink-like” growth. Management has done nothing about this except to say “well, scrub it off…” or on more than one occasion, they have simply painted over it, WITHOUT properly cleaning the area to be painted!!! 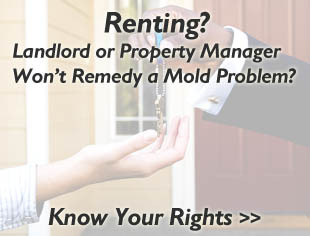 How can I make sure that it is not a harmful mold AND how can I get them to properly address the situation and it’s extent?